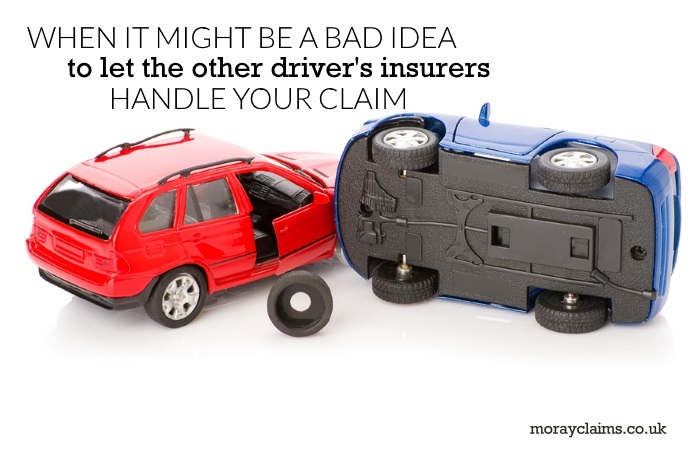 An “innocent third party car claim” is how some motor insurers describe what you have if one of their customers has crashed into your vehicle and it’s not your fault. In other words, the motor insurers in question are the third-party insurers, not your own motor insurers. Their customer was to blame for the accident. The third-party insurers’ offer to you is that you should let them take care of you and your vehicle in sorting things out. help if you have been injured – to include treatment/rehabilitation and compensation. But couldn’t you deal through your own insurers? If you have comprehensive motor insurance, one of your options is to deal with a claim for damage to your car through your own motor insurers. This can be an involved process. You may have to pay an excess on the policy. If your motor insurance comes up for renewal before the claim arising from the accident is sorted out, your insurance premium may go up (though you should be refunded any extra amounts you have had to pay for insurance once the claim is resolved in your favour). One of the benefits in dealing with your own motor insurers is that you have a contractual relationship with them and – you would hope – they will want to keep your business for the future, if possible, so they will try to progress things as efficiently as possible. The third-party insurers will emphasise that, if you claim directly through them, you will have no policy excess to pay – which is true. If you go through your own motor insurers, depending on the terms of the policy, you may well have a policy excess to pay. It is important to realise, however, that, if you incur an excess, you will be able to claim that excess back from the third-party insurers (because their customer crashed into you and it was their fault). The potentially misleading implication in the way the third-party insurers put the information to you is that, if you deal with your own insurers, you will have to pay the excess and you will end up out of pocket because you will not get the excess back. no effect on your no claim discount. If you do deal through your own insurers, you will get back any excess you have to pay and any effect on your no claim discount will be temporary. The third-party insurers will offer to help you make a claim for your injury and get treatment for you. You may ask whether you are entitled to seek independent legal advice about your injury claim. In response, the third-party insurers may say that you are entitled to such advice but that they “can’t cover any costs towards this”. It is true to say that the third-party insurers would not be prepared to pay a solicitor on an up-front hourly rate for advice you get in relation to a personal injury claim, as it proceeds. However, as insurers are well aware, there are protocols which apply between solicitors and insurers. If you are an innocent motorist with a personal injury claim then the third-party insurers will pay your solicitor a fee at the conclusion of your claim which is based upon a percentage of the value of your claim but is paid in addition to your compensation. In other words, the more your compensation claim is worth, the greater the fee payable to your solicitor but that fee is not paid to your solicitor out of your compensation; it is paid separately and in addition to your compensation. By framing the information they provide in this way, the third-party insurers give the impression that any independent legal advice you choose to obtain will be entirely at your own risk and own cost when that is very far from the truth in a situation where, by definition, they are accepting liability for the accident and your injuries on behalf of their insured. The fact is: the insurers will cover your legal costs. Will employing a solicitor mean you surrender some of your compensation to pay them? Third party insurers will stoke your fear that, if you employ a solicitor, you will lose some of your compensation to pay them. 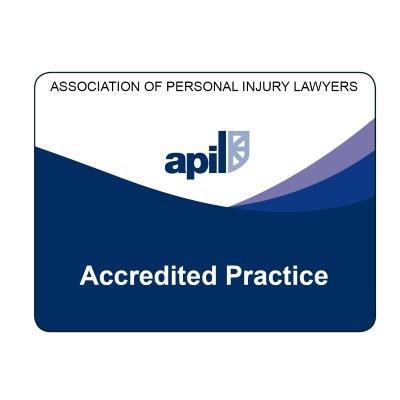 We have seen “advice” from third-party insurers that “solicitors can take up to 25% of your compensation as a fee but the service we provide is free and you will receive 100% of the compensation”. 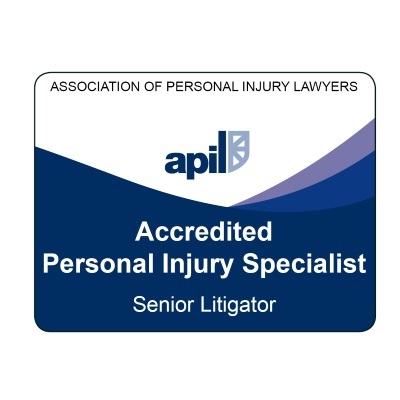 It is true that a variety of possible arrangements for payment of your solicitor for a personal injury claim exist. But, if you look around, you should be able to find an arrangement whereby you will receive 100% of your compensation even if you employ a solicitor. At worst, an arrangement where you lose less than 25%. Furthermore, as we go on to discuss below, it is not much consolation to receive “100% of the compensation” if that has not been properly calculated and all relevant heads of claim included. In short, you would not be receiving 100% of the compensation you are rightfully due. Fundamentally, the third-party insurers are not there to look after your best interests. While they are not actively trying to act against your interests, they may not assess your circumstances in the detail necessary to identify all the potential heads of claim in your case. For example, it is quite easy to overlook the possibility that you could reasonably have a claim for loss of employability (also known as “disadvantage on the labour market”). Also, the law in relation to “services” is quite different as between Scotland and the rest of the UK. In general, recovery of compensation is more favourable in Scotland than elsewhere. If you are dealing with an English-based insurer (which is most of the time), they will not have the understanding to include this in your claim. They will probably not even ask you about it. The information provided by insurers to “innocent third parties”such as you is carefully worded and will tend to make you think that letting them handle everything for you, including the repair / replacement of your vehicle and any claim you have for losses arising from personal injury, is the most natural thing in the world. You won’t necessarily be acting against your best interests if you let them sort things out for you but the risk is always there. The third party insurers are not obliged to act in your best interests; on the other hand, a solicitor acting on your behalf is obliged to act in your best interests. As a general rule of thumb, the more serious your injuries, the less likely it is to make sense to allow the third party insurers to run your claim for you. If you have any questions about this article, please get in touch with us. All initial enquiries are free of charge and without obligation. 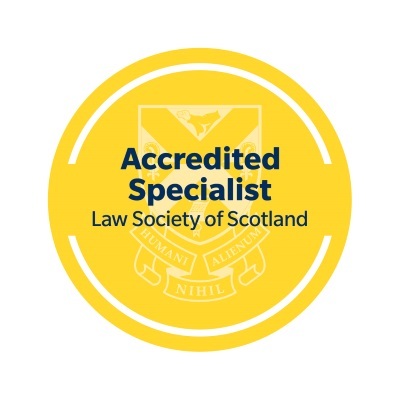 You can contact Peter or Marie in our Elgin office on 01343 544077. Or you can send us a Free Online Enquiry. If you have been approached directly by third party insurers following a road traffic accident, it is a good idea to have a chat with a specialist solicitor so you can weigh up the risks and decide whether you are fine to go it yourself with what is on offer or whether you should engage the services of a solicitor to protect your interests properly.